Backyard chickens have become pretty trendy over the past few years--people talk about how cute the chicks are, how their children learn responsibility by caring for them, how much they enjoy watching the antics of the hens and gathering the fresh eggs. Call me hard-hearted, but I got my chickens to exploit two essential qualities of theirs--their need to scratch and their prolific poop. The very qualities that have caused more than one gardener to to drag out the stockpot, were precisely what I wanted from my birds. straw, and every day I would throw in leaves of comfrey and some choice kitchen scraps for them. 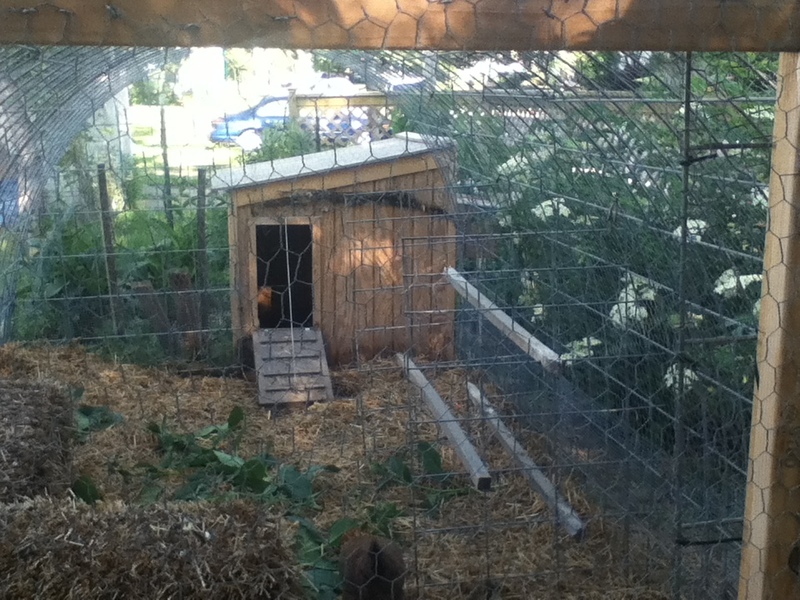 Although the hens had organic feed inside their house, they spent most of their time outside, scratching in the straw. In a few weeks the pieces of straw were noticeably smaller and thoroughly mixed with small amounts of chicken poop. When I needed mulch for the garden, I removed some from the chicken yard and cut the strings on a new bale of straw for the hens. In the fall I collected lots and lots of bags of leaves. The hens really loved them and did a great job shredding. 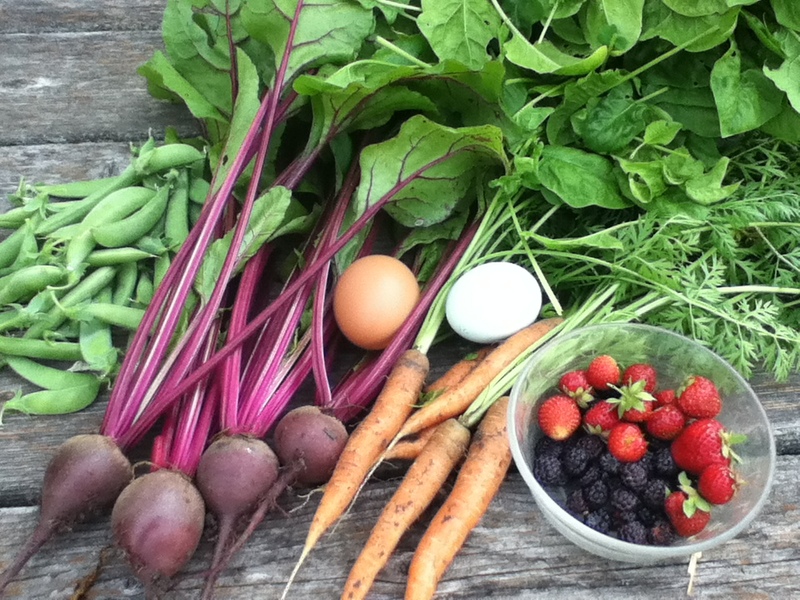 If you have chickens and DON'T use them to boost your soil fertility, you are really missing out. If you have a little space to spare, another way to do it is to fence two yards, one on each side of the hen house. One is for the garden and one is for the chickens, and the next year you switch them. Chickens can help with composting on a commercial scale as well. Here's one inspiring approach being utilized in Vermont.